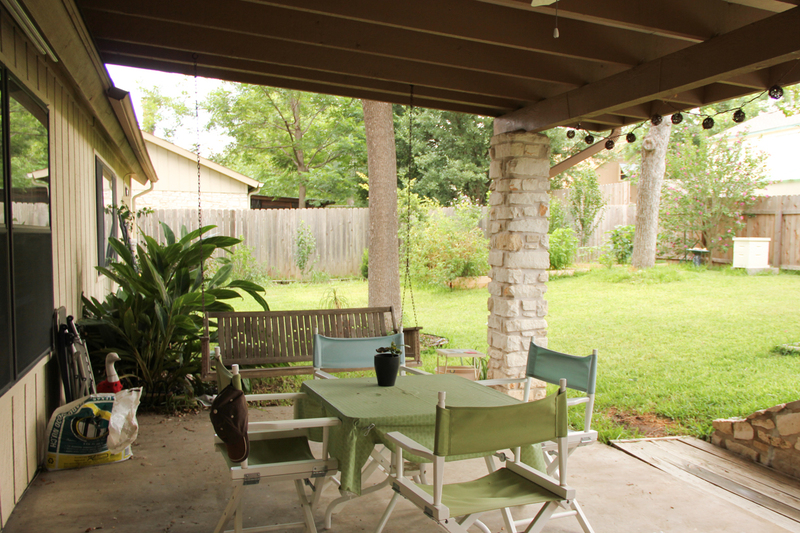 The before picture of the porch. We’ve got a really nice back porch at our new house and it even came with a pre-installed porch swing. 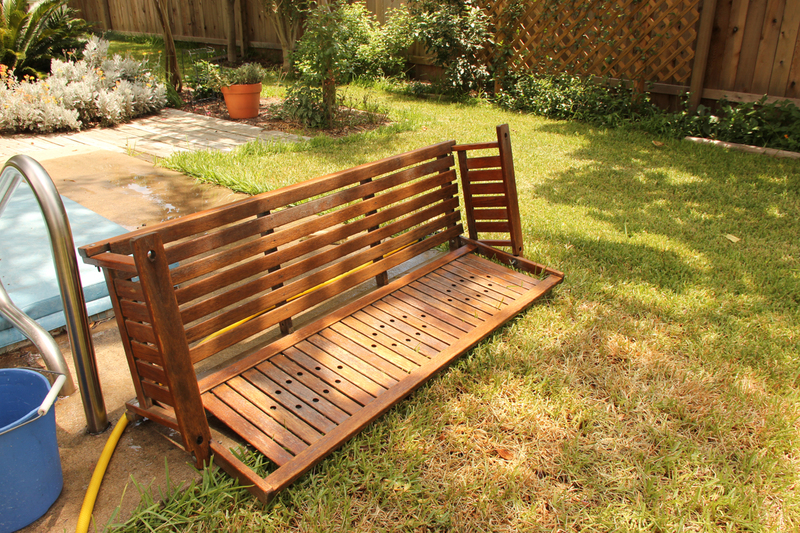 The porch swing was nice but a bit drab so I decided to spruce it up a bit. Close up of the drabness. I found some yellow Valspar spray paint at Lowe’s that I felt was the perfect shade. At first I bought two cans of primer + paint in one. 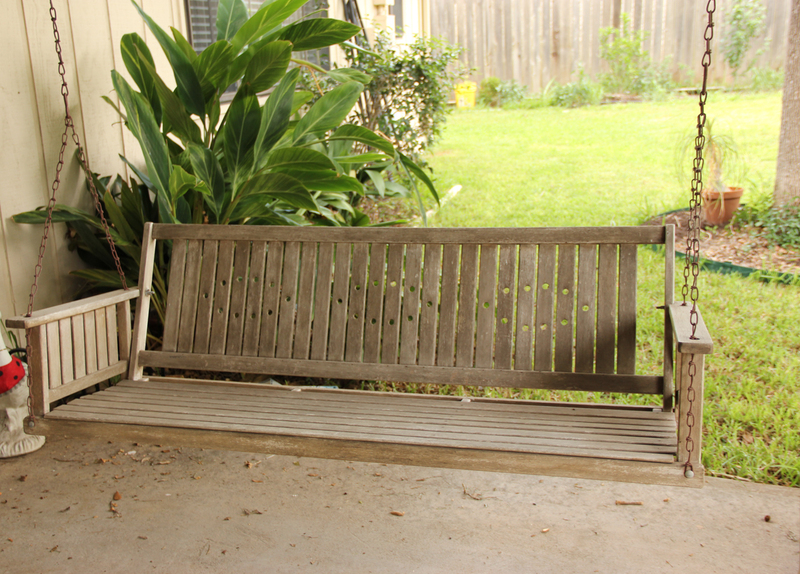 Once I removed the porch swing from the chains I decided it should be scrubbed because it seemed dirty. I used a hose, a bucket and a scrub brush. I don’t know what was on that swing but it was more than just grime. It must have had some sort of coating on it at some point because it seemed fibrous. It was a pain and didn’t even come all of the way off. After the swing dried in the sun for a number of hours I began the spray paint. The cans of primer + paint were just absorbed by that thing and I was left with a vaguely yellowish swing. I then got two more cans of spray paint, also Valspar, but this time for outdoor projects. Once I used those up, I was satisfied that the swing was yellow enough. My husband isn’t sure about my color choice, but I like it. 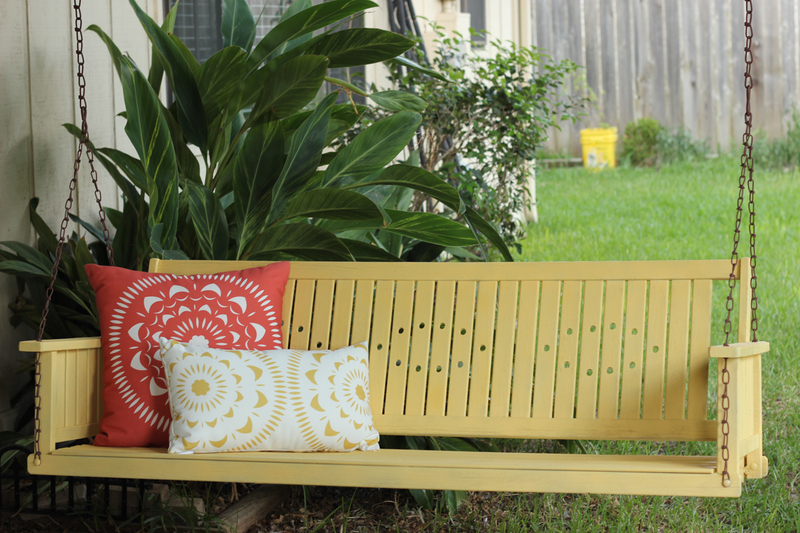 It even matches the fun outdoor pillows I picked up a few months back. The project wasn’t as quick as I imagined in my mind, but still well worth it. 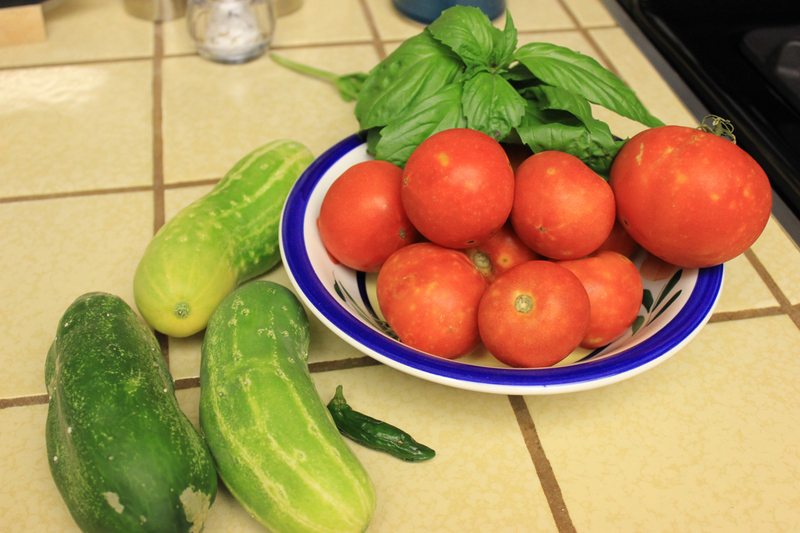 What to do when you have more cucumbers, tomatoes and basil growing than you can reasonably eat or give away? Find a way to freeze them of course! A few weeks back we were in the middle of an amazing tomato season which I’m sad to say is just about over now because of the Texas summer heat. 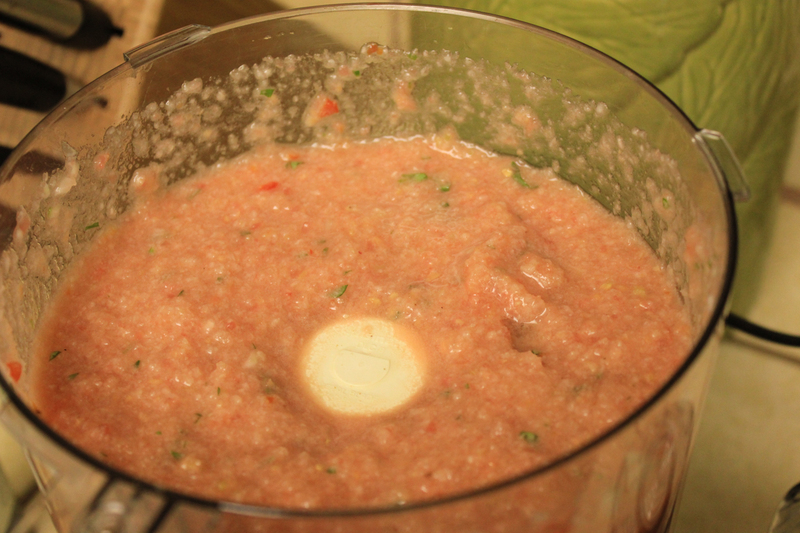 Anyhow, I decided to make some gazpacho, a delicious cold summer soup. I didn’t feel like going to the store for extra ingredients so I looked around for a recipe that mostly relied on the things I had in the garden. I ended up adapting a gazpacho recipe from The Complete Book of Small Batch Preserving. 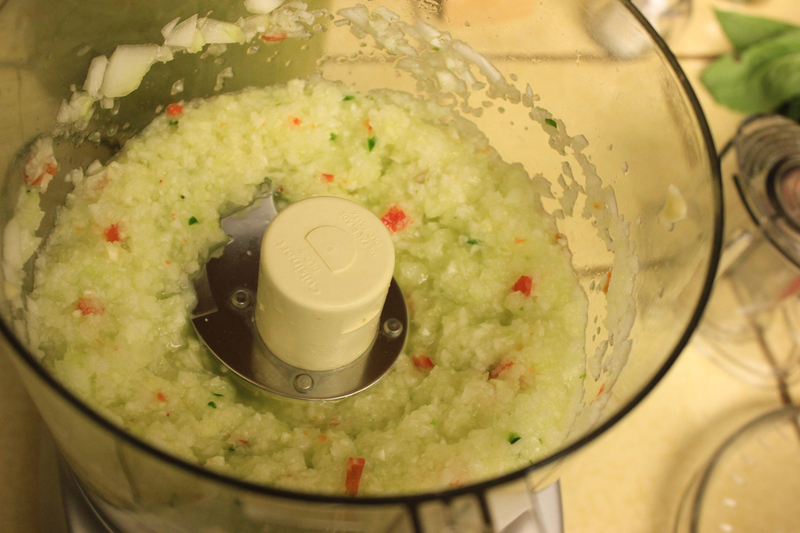 In the second batch I made, I added some white onion to change the flavor a bit. I liked both varieties. 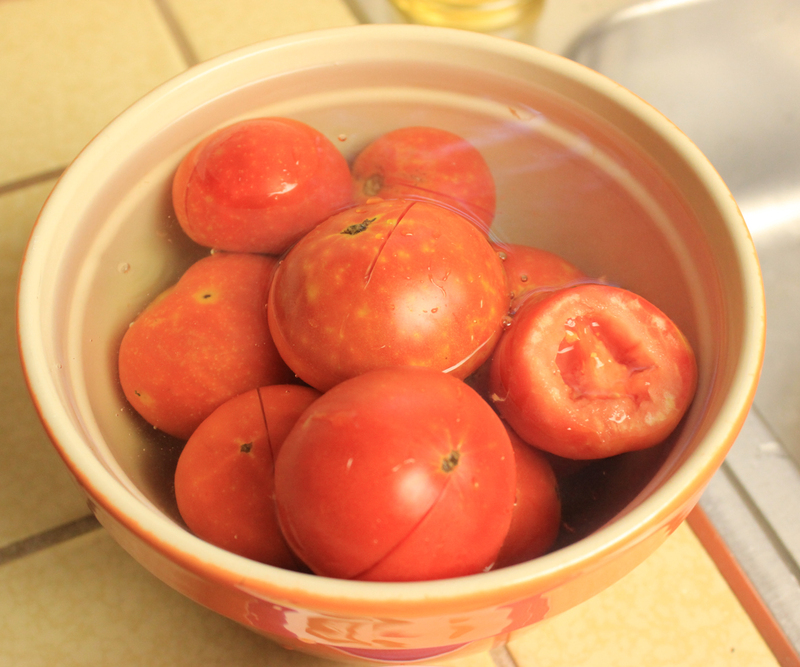 Use boiling water method to peel tomatoes. 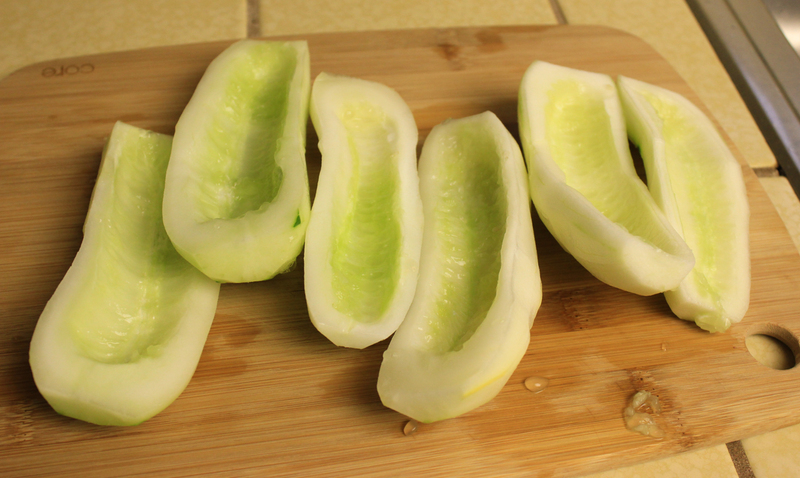 First you slice their skin and then dunk them in boiling water for about 30 – 45 seconds followed with an ice bath. 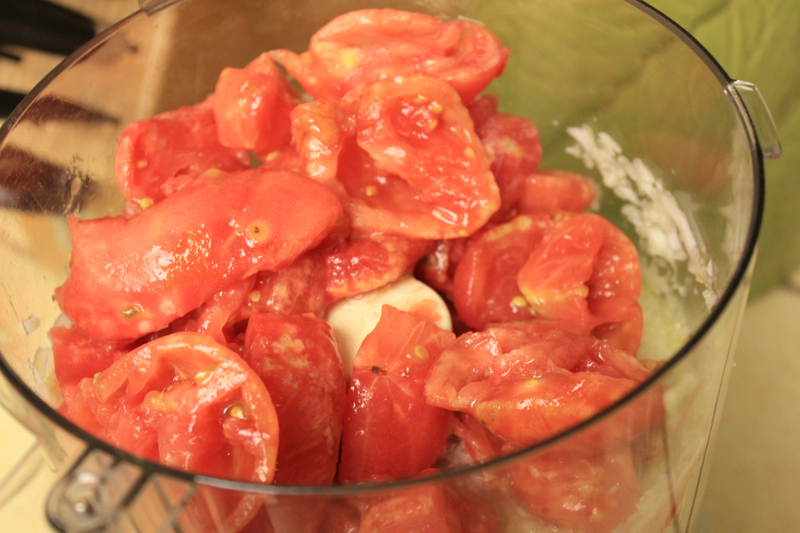 Add peeled and seeded tomatoes to the food processor and combine. 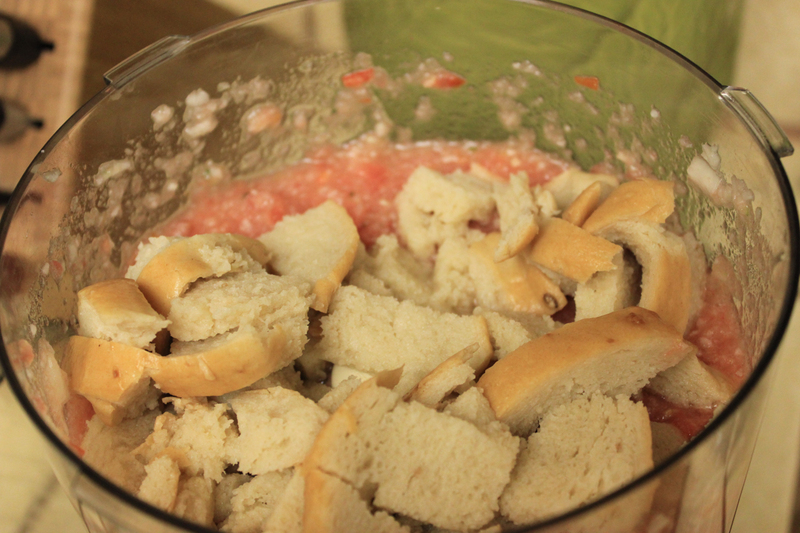 Add bread to food processor and combine. At the end, add olive oil, salt, pepper and fresh basil to taste. We then ate about half the batch and I froze the rest in a plastic container. A few days later I made another batch and froze it. Mmmm… garden vegetables. Do you have a favorite gazpacho recipe I should try?